Mahogany. The word itself sounds opulent, luxurious, exotic. 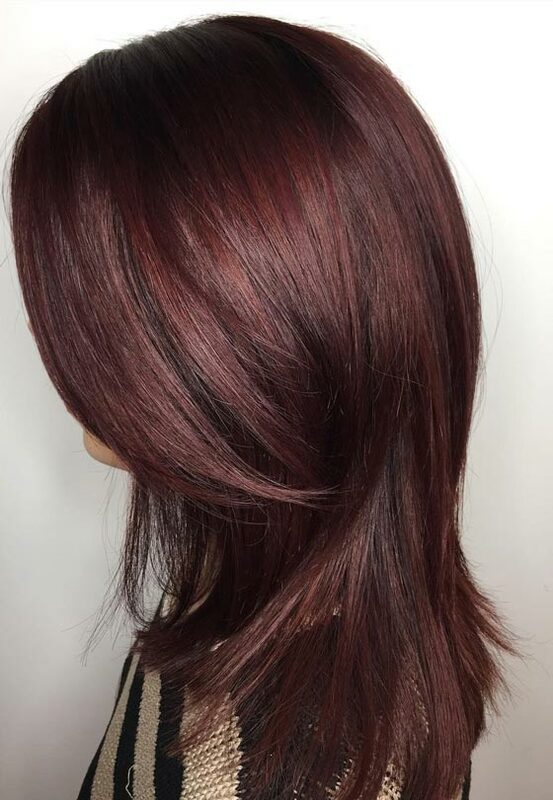 This rich and vibrant color that is a shade between red and brown is one of the most popular hair colors around the world. And for a good reason – this beautiful shade is bright, without screaming for attention. Vivid, but retains its elegance. 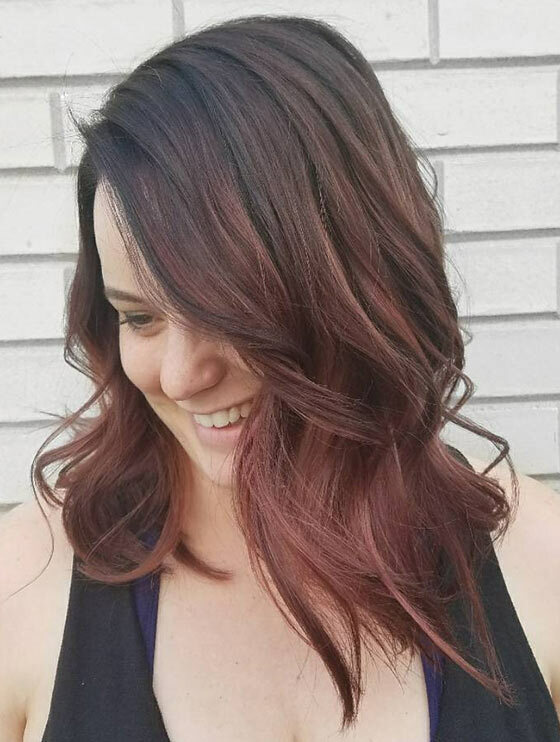 Mahogany is a shade tailor-made for those who wish to experiment with their hair color without pandering to outrageous hair color trends. 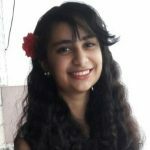 It is for those women who wish to get a classic hair look. But just because you’re going for a color that is on the more natural side of the hair color wheel does not mean that you cannot experiment with how you style it. 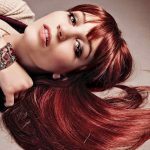 So, here we have compiled a list of our top 20 ideas for coloring your hair mahogany. But before we jump into the list, let’s look at how you can actually color your hair in this beautiful shade right in the comfort of your home! Put on an old t-shirt or wrap an old towel around your shoulder so that you don’t get dye on your good clothes. Divide all your hair – first horizontally, then vertically – to divide it into 4 sections. Roll and clip 3 sections of your hair, leaving loose the one you want to start dyeing first. Put on your rubber/plastic gloves. Follow the instructions given on the box and mix the hair dye in a bowl. Picking up half-inch sections of hair at a time, start applying the hair dye with the help of either a dyeing brush or an applicator bottle from about 1 inch below your roots. Use your fingers to work the dye into and all along the length of your hair. Repeat this process until you have applied the mahogany hair color on all four sections of your hair. Leave the dye in for the duration of time indicated on the box. Wash off the dye with warm water. Wait for about an hour before shampooing and conditioning your hair. 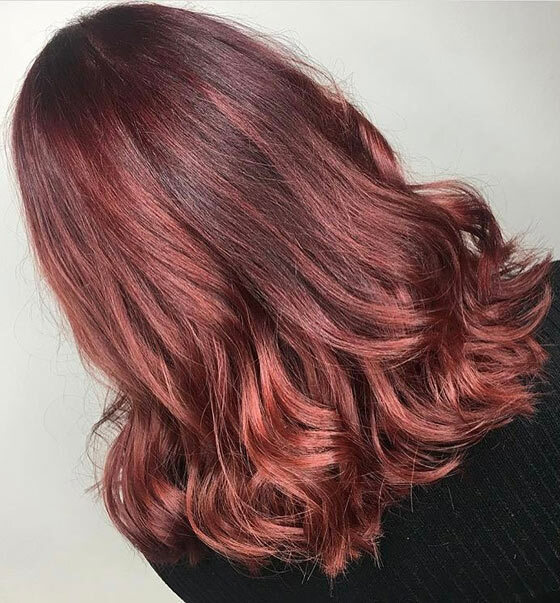 Well, now that you know how to dye your hair mahogany, let’s jump into all the ways you can style this gorgeous hair color! I get it. I get that coloring your hair could seem extremely daunting to you. So why don’t you start off with a more natural color, huh? 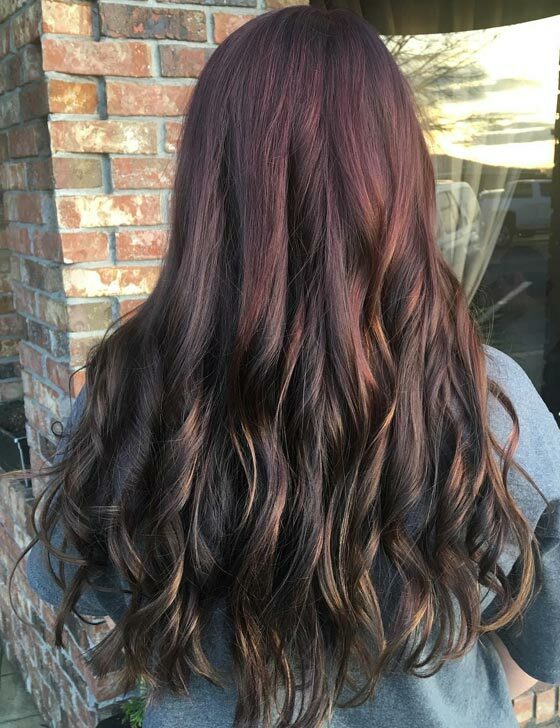 You could retain the naturally dark brown color of your roots and go for a subtle mahogany ombre towards your ends to create an absolutely dreamy hair look. When it comes to matters of the hair (and the heart), sometimes it’s best to go all in. A good way to do that is to go for this rich mahogany color look. While the deep shade of mahogany acts as a base, bright streaks of copper accent it to create a fiery effect. Ahh… is there anything better than kicking back and relaxing with a glass of red wine at the end of a long day? I think not. 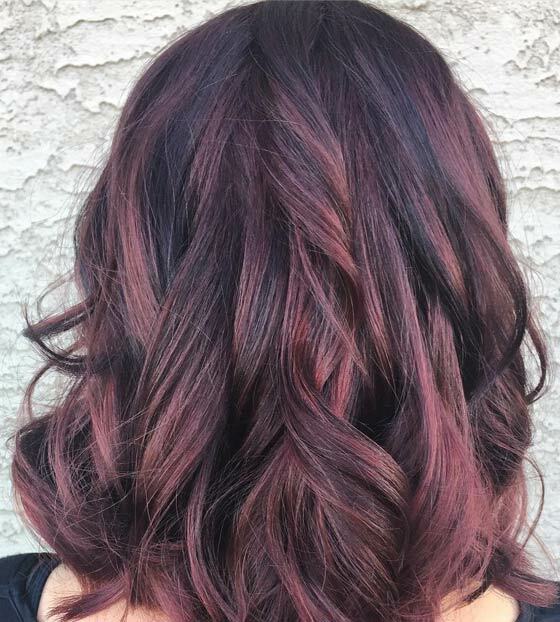 So, show some love for your favorite end-of-the-day activity by trying out this hair look that is a stunning melange of mahogany and purple. Aren’t you in awe of the beautiful colors that light up the sky at sunset? 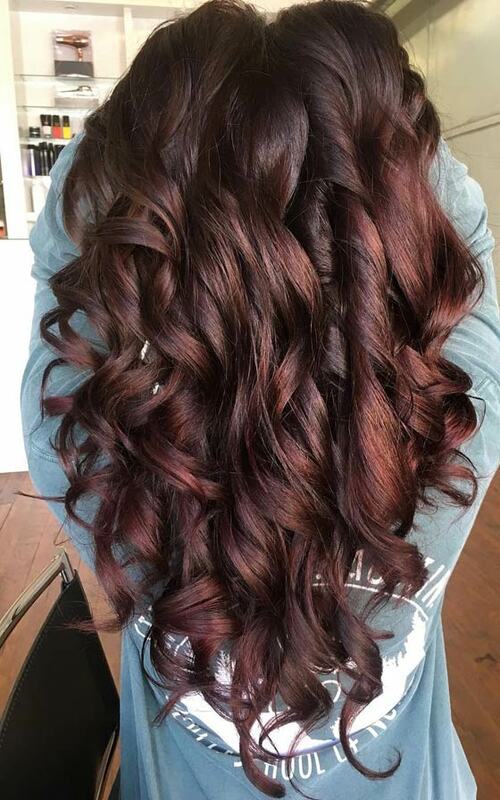 Paint your hair in those very colors by going for this gorgeous hair look. The gorgeous mahogany shade has been balayaged with a dusty pink in the middle to imitate the descent of the sun into darkness at dusk. Wanna look like a bohemian desert princess dancing her heart out at Coachella? Then you have got to check out this gorgeous hair look. 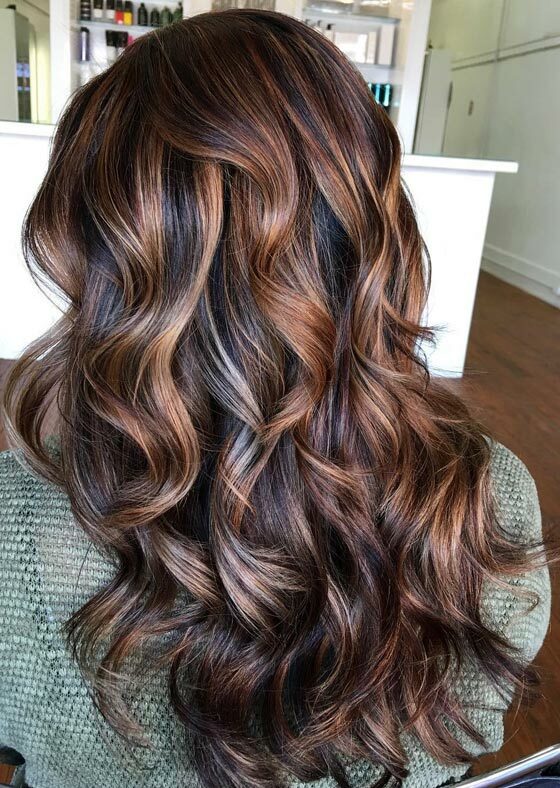 The beautiful mahogany hair here has been highlighted with a dusty brown shade and styled in texturized waves to create a soft and romantic hair look. If there’s one color ruling the roost this season in hair color trends, it has got to be peach. And why wouldn’t it? This understated shade of orange goes perfectly with all skin complexions. This ombre look done with mahogany on top and peach on the bottom is a stunning blend of colors. Let’s be real. We all know metallic hue is rocking the hair fashion world right now. Rose gold, of course! 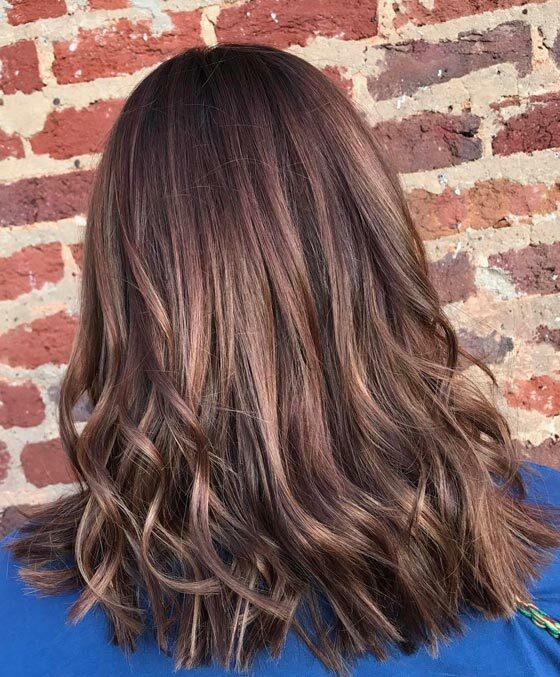 This mahogany-based color job has been highlighted with streaks of gold at the bottom to create a beautiful balayage of woody and metallic shades. What do you get when you swirl two rich shades of brown together? A thing of beauty. And that is exactly what you get when you have a dark chocolate shade as your base, highlighted by subtle mahogany streaks to create this sophisticated and understated look. Who doesn’t want to look like a mystical being? A forest nymph, perhaps? Well, you can live that dream by trying out this gorgeous hair look. 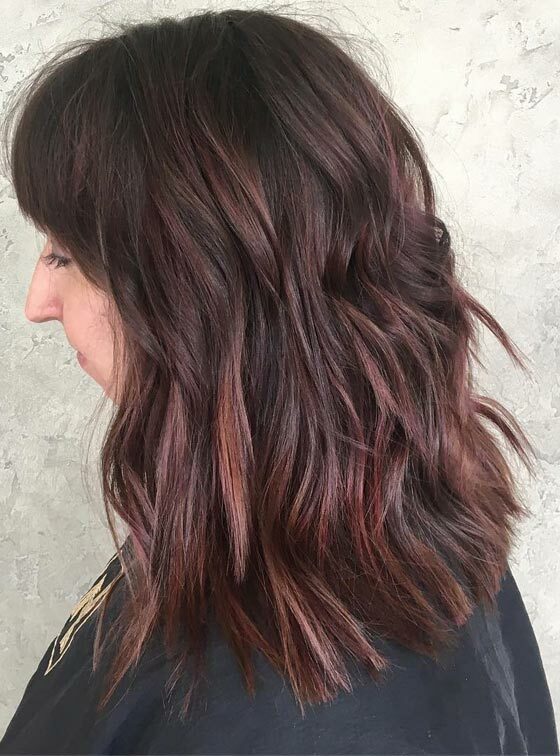 This rich mahogany single-toned look creates the effect of nothing less than a red-brown waterfall cascading down your back. There’s a reason why hair painting is the most popular hair coloring technique right now (and probably will be for a long time). It’s because it creates the most stunning dimension and movement in your hair. This mahogany painted look, for instance, recreates the rich dark brown shades found deep in the heart of a forest. Subtlety is an art. And it’s even more so when creating stunning hair looks like this one. 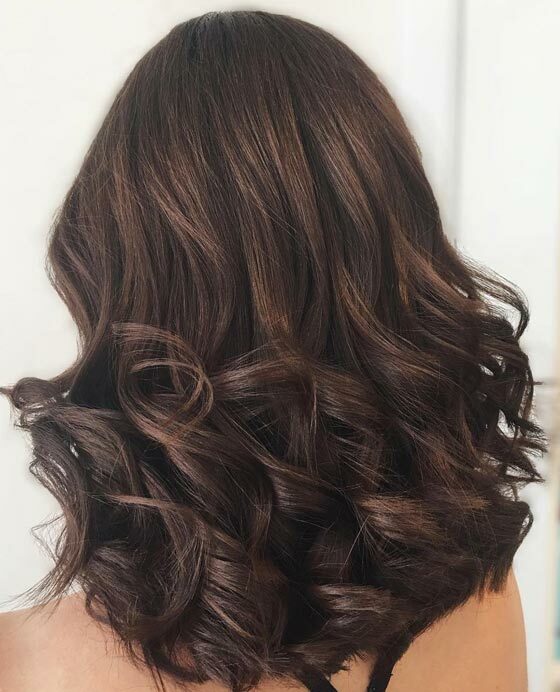 This mahogany balayage blends so beautifully into the dark brown base color that the effect it creates is very natural. The subtle blink-and-you-miss-it element of this look is what makes it so gorgeous. Have you ever noticed the stunning shades of orange and brown that swirl in your cup as soon as your teabag hits the hot water? Because that’s the inspiration behind this hair look. 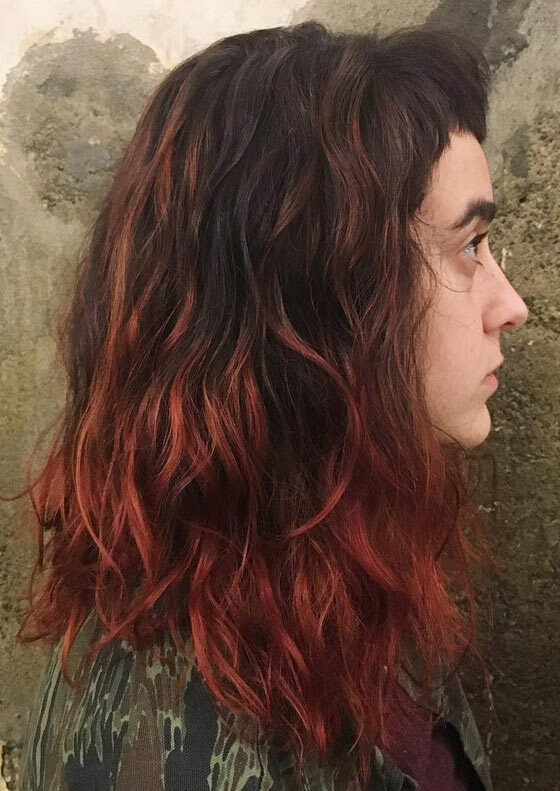 This mahogany-based style has been highlighted with popping shades of red and orange to create this quirky look. So you don’t want to color all your hair? That’s okay because I’ve got a lightweight solution for you. 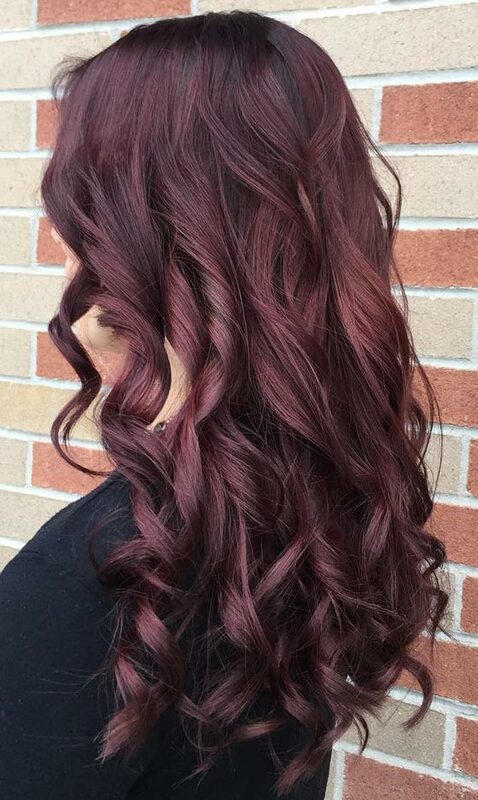 Just add a sheen of violet and mahogany over your naturally dark brown hair. 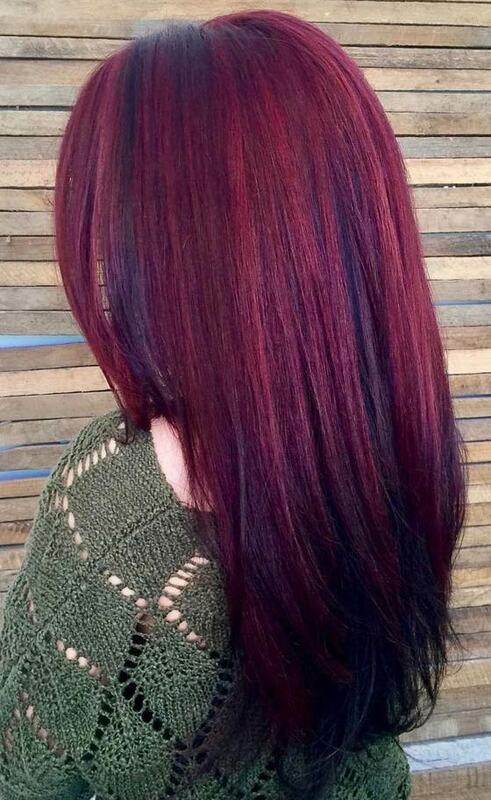 When sunlight hits your hair, it will burst into a symphony of rich colors. Wanna look totally sophisticated and classy with you next hair look? I’ve got your back! 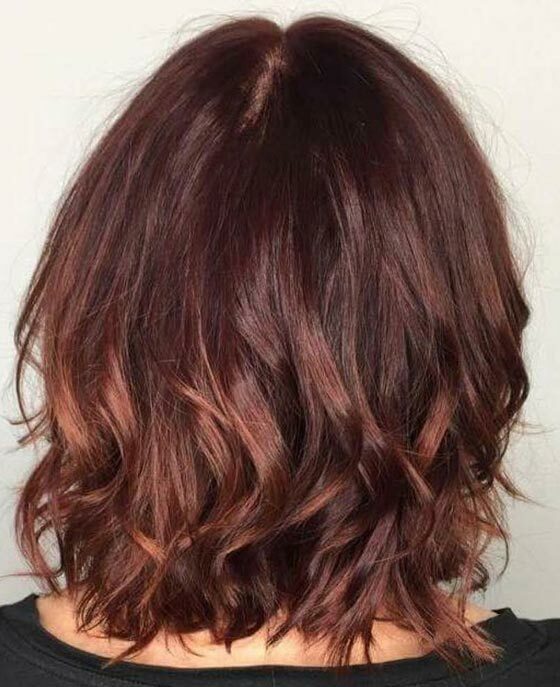 This mahogany hair look has been subtly highlighted with shades of ginger red and brown to create an elegant look that still has a youthful vibe to it. Girl, just because you want to get mahogany colored hair does not mean you have to kiss your bright hair dreams goodbye. Here’s a super pretty look you can try out. 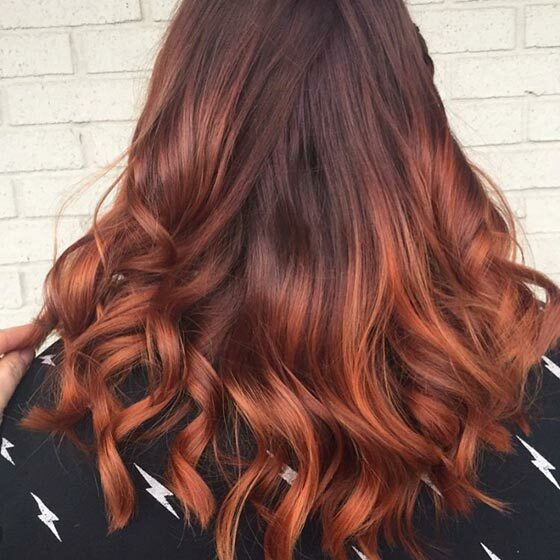 You could go for some red-toned mahogany painted over a dark brown base to create this gorgeously fiery look. We all know tortoise shell is all the trend when it comes to sunglasses. 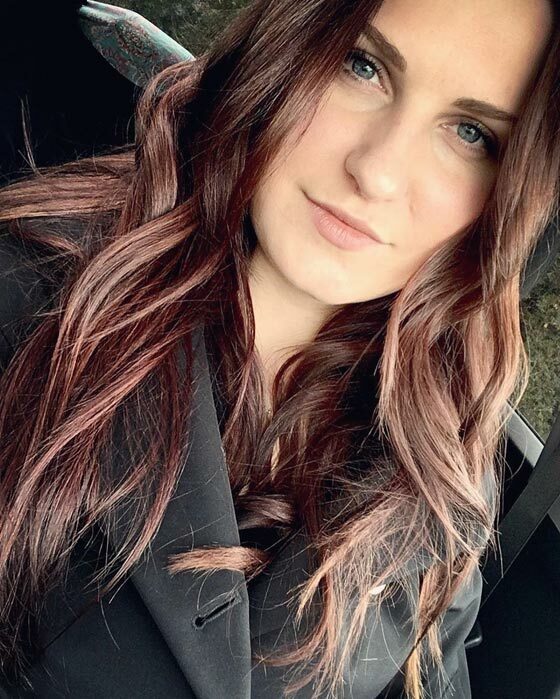 But did you know this gorgeous color effect has transitioned into the hair coloring world as well? Yep, you heard me right! Check out this beautiful tortoiseshell effect created with shades of mahogany and caramel blonde. You know, you don’t always have to stick to just one or two colors when going for an understated hair look. You could go for a third shade without going over the top. This tricolor mahogany hair look is a testament to just that. 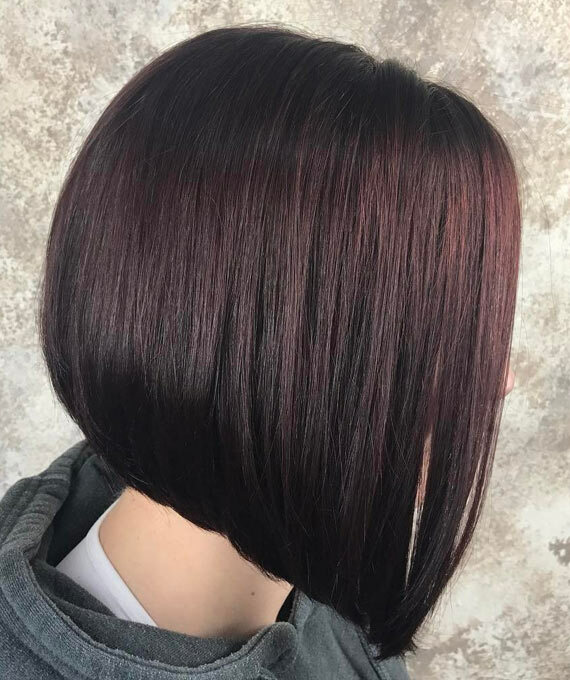 With a vivid mahogany shade at the roots and a blend of light and dark brown at the ends, this stunning look is one for the ages. 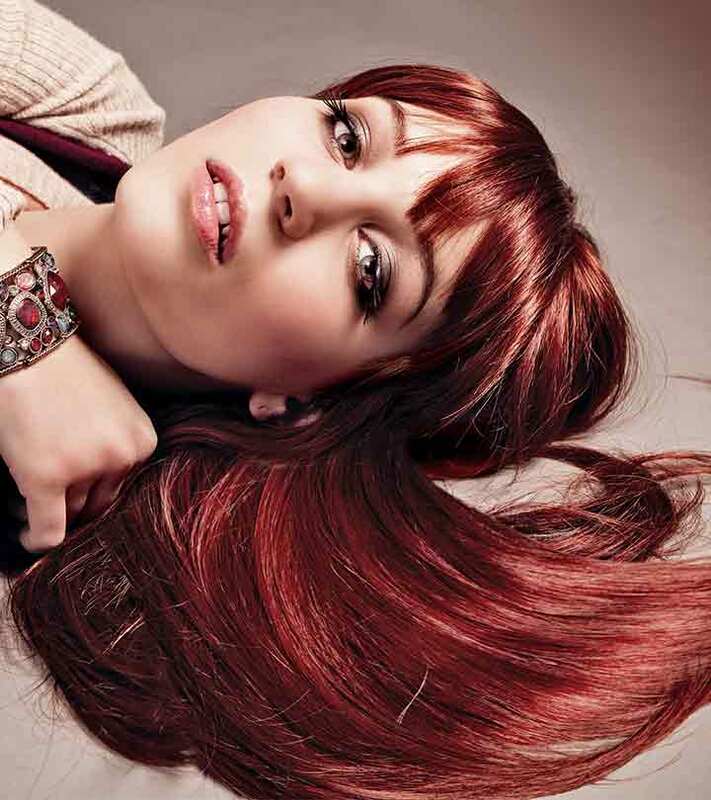 Mix things up and experiment with different shades as undertones for your mahogany hair look. 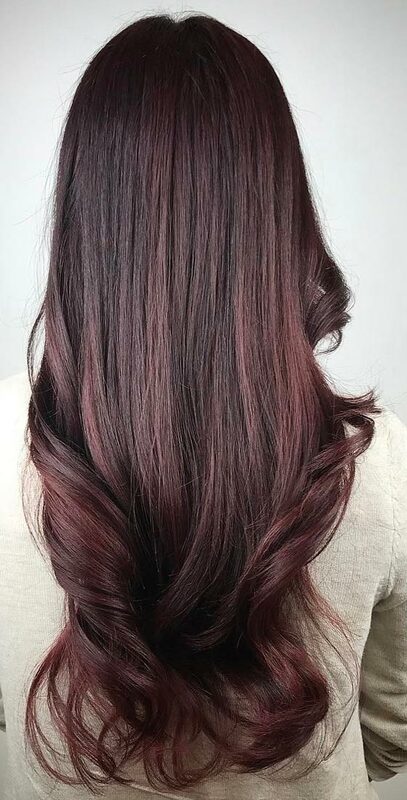 You could, for instance, try going for red and violet undertones to create a bit of vibrancy in your otherwise dark and subdued mahogany base color. It adds warmth and dimension to the whole look. Look up pictures of desert storms, and you’ll see what I mean when I say that they are an awe-inspiring sight to behold. 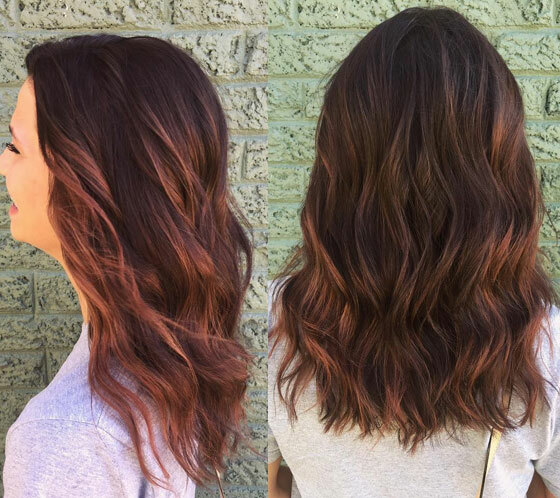 This gorgeous light brown and mahogany balayage look has been inspired by just that natural phenomenon. The dusty brown highlights stand in stark contrast against the mahogany base to create this stunning look. When it comes to coloring your hair in shades of brown, you don’t always have to go for a warm-toned look. 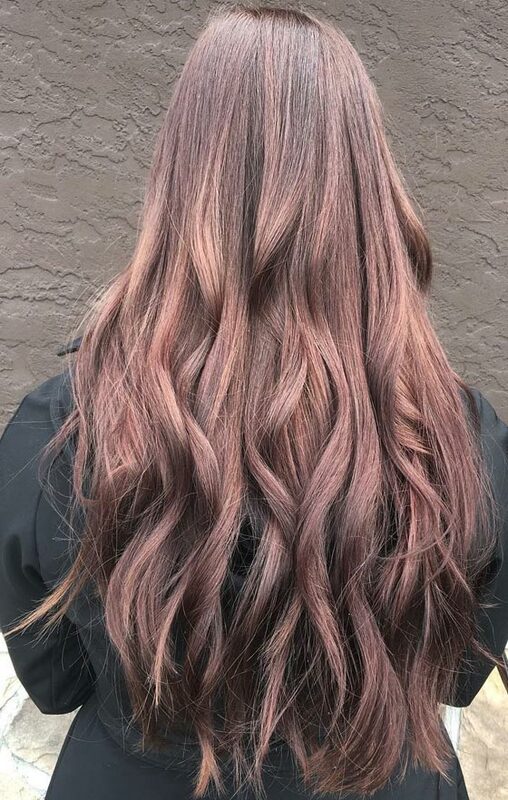 This cool toned mahogany hair look has some blue undertones to it. With the hair sleekly straightened out, the mahogany is at the peak of its gloss and shine. Well, there you have it, ladies! Our top 20 styling ideas for coloring your hair mahogany. Comment below to let us know which looks you are dying to try out!